For Father’s Day, my husband asked if he could just chill in his hammock. No gifts. He’s been keeping long hours at work for a big project these days and he didn’t want anything fancy, he just wanted some quiet time with us. The kids and I readily agreed that we could all use a lazy day after a lot of end-of-the-school-year events lately. 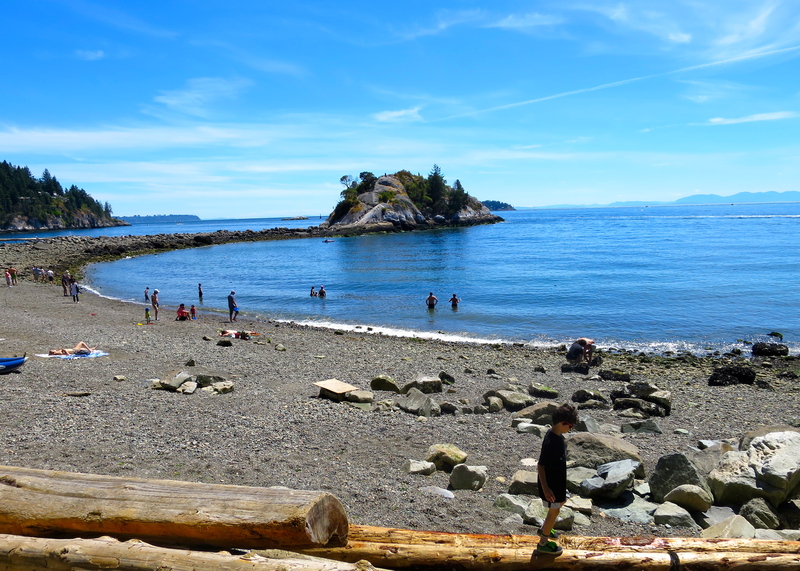 So we quickly packed up the picnic basket and headed to local Whytecliff Park in West Vancouver for the afternoon. It was time to break out the hammocks for summer! 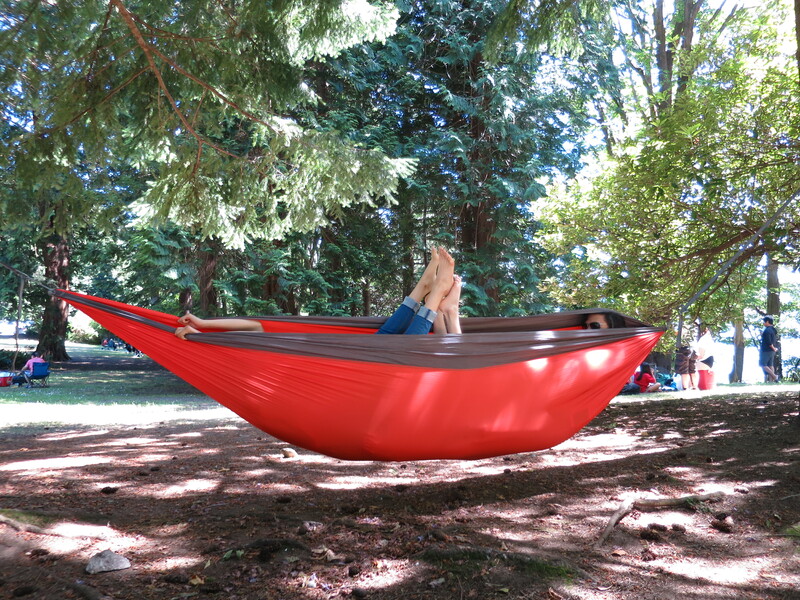 A few years ago, my hubby scouted these cool camping hammocks by Kammok that attach to trees with nylon straps, adjustable to wherever you may go, as long as there are two sturdy trees. 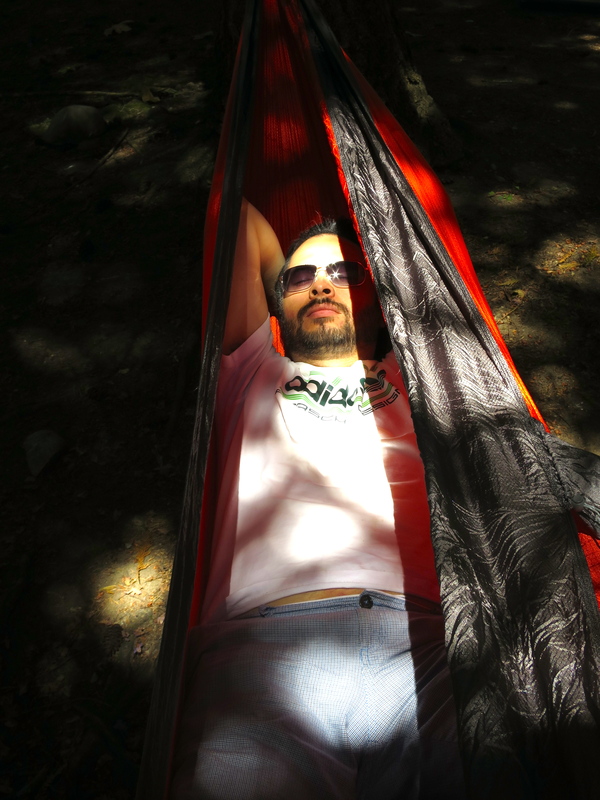 He bought two of these new Kammok hammocks a while back when Kammok first brought them out as a kickstarter project, and we love them. They fold up into a pouch about the size of a grapefruit, and we take them whenever we head out into nature. For our last-minute, very casual family celebration for dad, we set up our blanket and picnic lunch on the seaside grass. Then Scott got the hammock set up and climbed in. He had a few minutes alone before the kids climbed in, too. We also went exploring down at the beach –it’s such a pretty park and beach. 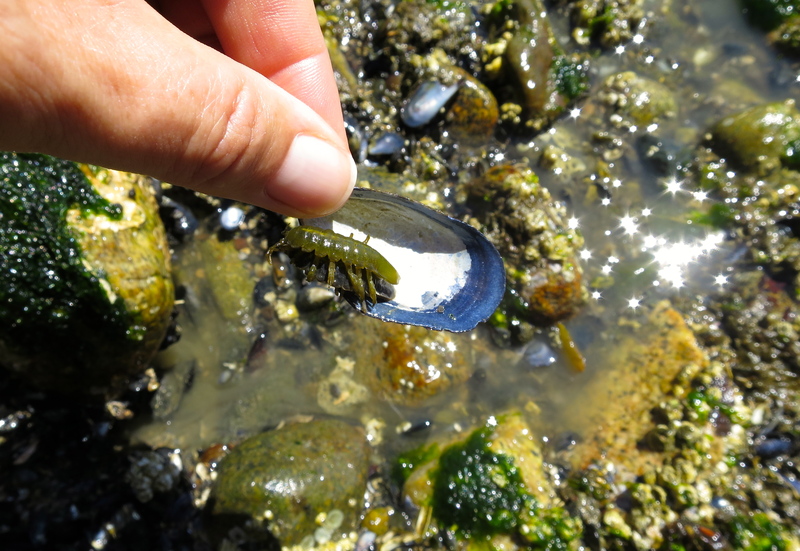 Ian found this cool critter that we called a sea-centipede. It probably has a real name, I’d love to know what it is! 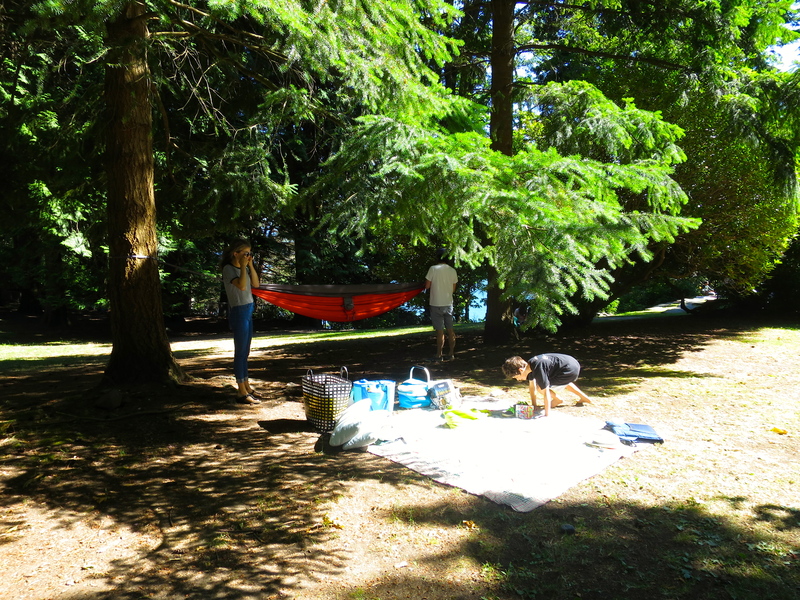 We spent the afternoon at a leisurely pace with everyone lounging, reading, and relaxing. Happy Father’s Day to all the hard-working dads. Great photos, great post! Those Hammocks would be great as an affiliate link to Amazon! It looks like such a fun day!